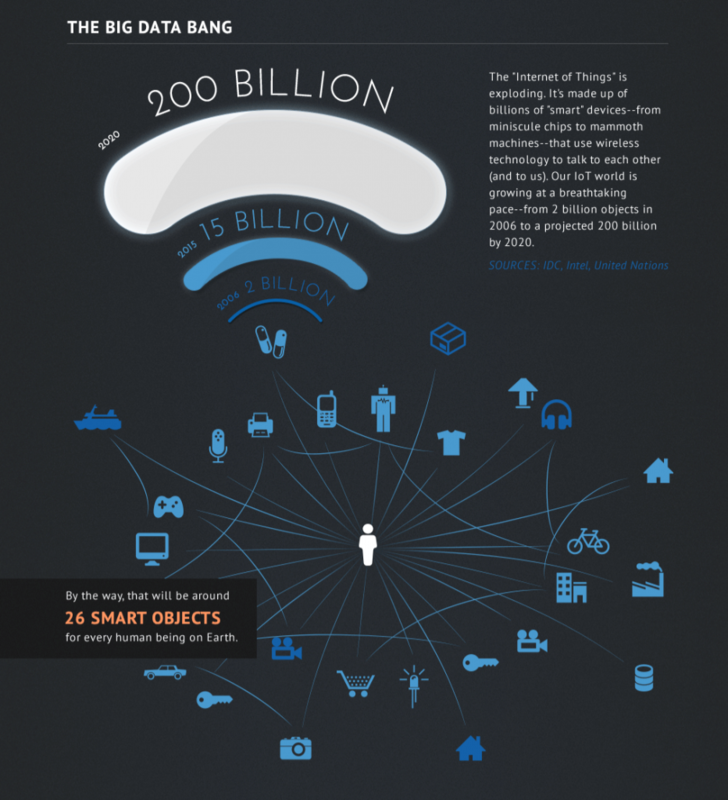 The Internet of Things (IoT) is here, so let’s talk strategy. How exactly does IoT affect marketing strategy? With an “expected 34 billion devices connected to the internet by 2020” consumer demand will change, according to Forbes (Greenough et al., 2016). IoT and the world of connectivity will continue to shape needs and requirements for products and services. Businesses will strategize for an IoT centric world, and so will marketers. 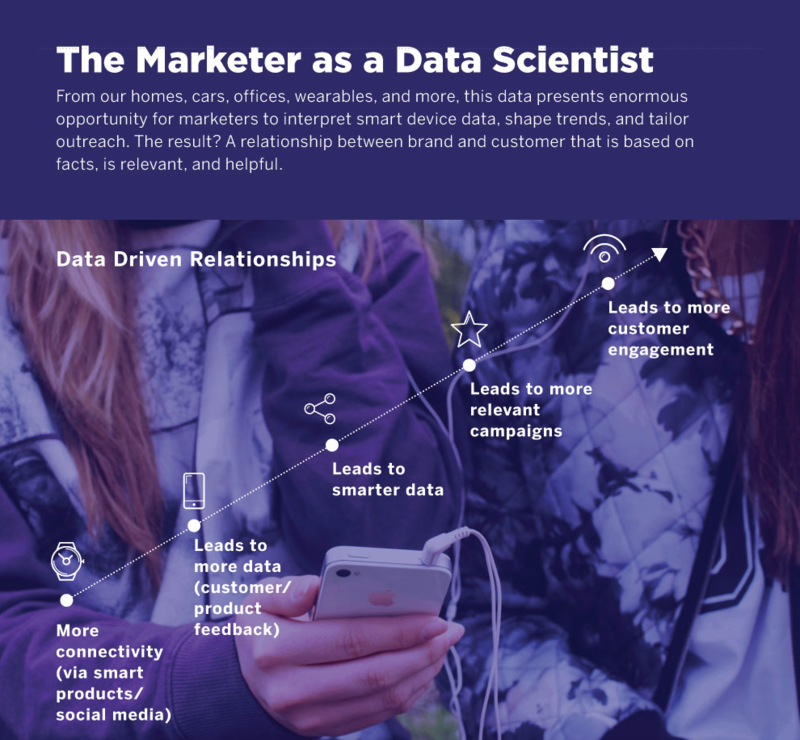 As a Marketer, it’s your job to connect the dots between IoT and marketing strategy — who are your customers, what (products) are you promoting, what are your customers willing to pay for your products or services and where should you promote these items? Early IoT consumers are more than willing to spend hundreds of dollars for the newest, hottest tech. With the new release of the Apple Watch this past year, we know this to be true. According to TechCrunch, “Apple Watch accounted for over 50 percent of smartwatch sales in 2015″ (Perez, 2016). The audience size will continue to skyrocket as companies continue investing billions of dollars into discovering and creating the connected IoT world. Industry analysts predict “the IoT market [to] support total services spending of $235 billion in 2016,” (Eddy, 2015). Intel echoes industry sentiments in saying that, “the IoT world is growing at a breathtaking pace,” (A). We can expect an explosion in data collection and data mining as IoT products and services develop. With more data we can find more granular insights around consumption and consumer trends, thus improving marketing and advertising campaigns. Marketers can create more relevant –and personalized– messaging, editing copy and tone specific to each audience segment. More relevant campaign messaging, means more campaign engagement, therefore more leads and more customers syphoning further into the sales funnel. Let’s say you download a multi-purpose app, but you only use the app for health reasons. In receipt of this information (e.g. what you use the app for, what are your health goals and related statistics), the marketing team can then specialize their tone, messaging and methods for communicating with you based on your engagement. Narrow marketing campaigns unfortunately means potentially higher costs, resulting from the increased target markets to connect with. If you own multiple Apple devices, you expect each device to have similar functionality and feeling, right? This familiarity makes new products easy to use and a more streamlined customer experience across the brand family. This desire will be augmented in the IoT world. Consumers want to connect and use their (brand-related) products in a similar and logical way. Marketing strategy will be aimed to add value through the addition of new devices, or through up-selling and cross-selling within the brand portfolio. We’ve seen this uphold with Amazon’s Echo. In initial release, the Echo defaulted playing music through Prime Music. Acknowledging Spotify as one of the more frequented music apps, Amazon pivoted to focus on customer retention. “Users who are Spotify Premium subscribers, who also have an Amazon Echo, will now be able to command Echo’s virtual assistant Alexa to ‘play Spotify’ and call up their Spotify playlists, as well as artists or genres on the streaming service,” (Lundin, 2016). Users have two options: continue to stream Amazon’s (free) music, or pay for Spotify Premium for $10 per month. Amazon streamlined the awareness and use of other related products within the Echo, but also pivoted when necessary to meet customer needs. User experience becomes the forefront of marketing strategy — cohesive products with related ways to solve a certain problem will become dominant in the market. Products available in the IoT space will continue their focus on added value to existing solutions. Products will continue to add value through the addition of related services. IoT efforts and bundled pricing options will become more commonplace as companies build a family products focused on solving one specific problem, rather than one product to partially solve the problem. We can expect costs for connecting devices (e.g. with the need to strong network connection) to be at it’s highest point today, per the current market share. As competition arises, we can expect prices to decline. As users define their problem more specifically, products and marketing solutions will consequently evolve. Until there are more answers and less questions, product costs will remain high, thus marketing efforts will be slow to gain (sales) traction until products have reached mass adoption. Paying Customers for Their Data? Niche products will be the new norm. Companies will pivot toward solving problems for business sectors (e.g. manufacturing, health care, insurance). House management and time management will be controlled by certain apps or products, rather than a combination of several devices. The Internet of Things will help develop the world of the ideal user and customer experience. 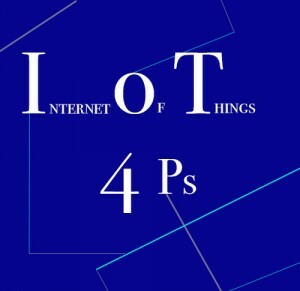 With increased noise and competition online, marketers should consider more unique ways to promote online and offline; IoT represents a world of connectedness, across mediums. Everything that has a screen is now a driver of market messaging. Promotion of value added products will drive marketing efforts. More technical and IoT focused copy will drive social media and blog content. Creativity in marketing and mediums used will become even more crucial. It’s time to connect the IoT dots and create an ideal user experience. This entry was posted in Advertising, Marketing and tagged 4ps, advertising, IoT, marketing, new age, Tech, technology, value added. Bookmark the permalink.